The SFNC is a No-Clean Flux Pen. This pen is equipped with a 0.013 Micro-Tip dispensing needle, that allows an easy controlled application of flux. 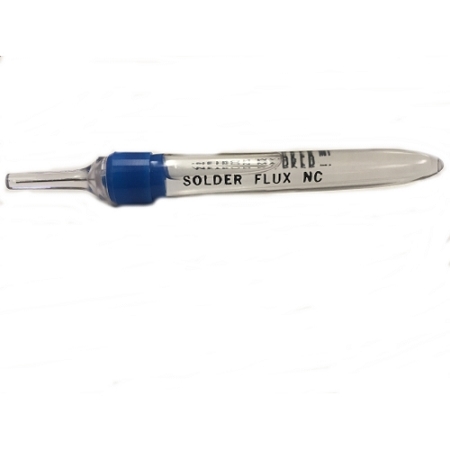 The SFNC Flux Pen is a colorless liquid ideal for rework soldering applications. This formulation features a low solids content which results in virtually no residue left after the soldering process. The chemical composition for the SFNC includes N-Butyl, Acetate with a proprietary ingredient which is non-hazardous Ethanol, Isopropanol Alcohol and Methanol. The SFNC comes standard in a 6mL pen.